Kia Carnival video review: What more does it offer over the Toyota Innova Crysta! Kia Motors has big plans for India and the company will launch their first model by this year. The first car in India by Kia will be a compact SUV based on the SP concept. However, what we are here today is for the second car that the Korean auto maker will launch on our shores. It will be the Carnival, a full size MPV set to challenge the supremacy of the Toyota Innova Crysta in India. 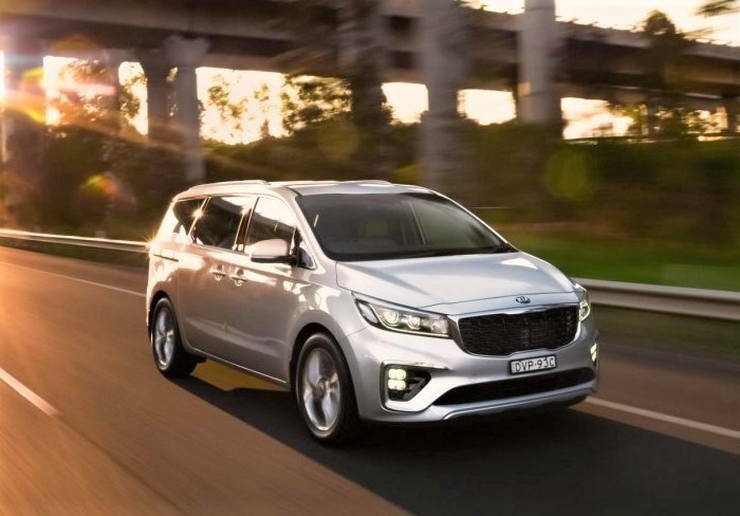 In international markets, the Kia Carnival has been hailed as a pretty good MPV with a decent price tag. How it will fare in India is the big question because many international hits have not been welcomed very well here in past. Unlike usual vans and MPVs, the Carnival does not look that much of an MPV. Kia has done a commendable job here and has given the Carnival a likable stance. The front fascia looks good with the signature Kia grille and large headlamps. The sides are cleanly designed while the rear end again done neatly. Kia has gone for subtlety instead of too much loudness in the design. The Toyota Innova Crysta is one handsome vehicle in its own right and is more aggressively designed than the Carnial. However, in this department, both these vehicles are in a class of their own and it really comes down to what the buyer prefers. Dimension wise, the Kia Carnival is larger than the Innova Crysta. 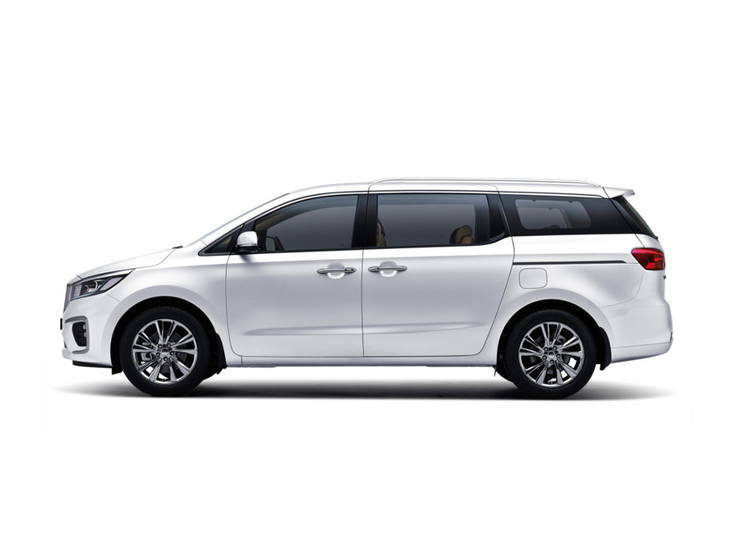 The Indian-spec Kia Carnival measures 5,155 mm in length, 1,985 mm in width, 1,740 mm in height and has a wheelbase of 2,060 mm. This makes it big vehicle being 380 mm longer, 155 mm wider and 40 mm shorter in height than the Toyota Innova Crysta. In the international markets, the Grand Carnival is available in various seating configurations that includes 7-seater, 8-seater, 9-seater and 11-seater. However, the Indian market is expected to get only the 7-seater version with captain sits in the middle. The video review above has an Australian spec 8 seater base variant Carnival. The interior design of the Carnival is quite simplistic and when compared to the Innova Crysta, is a bit dull. However, this does not mean that it is low on feature. The MPV comes with ABS+ESP, traction control, hill side assist, rear parking sensors, rear view camera, dust sensing headlamps, lane departure warning, auto emergency braking and forward collision warning among other in terms of safety features. A touchscreen infotainment system, Android Auto and Apple CarPlay, multi zone climate control etc are also present on the car apart from a host of other features. Some of the features present on the international variant of the car may not make it to India but the spec sheet will be comparable to the Innova, if not better. What will be better is the interior space and comfort on offer. 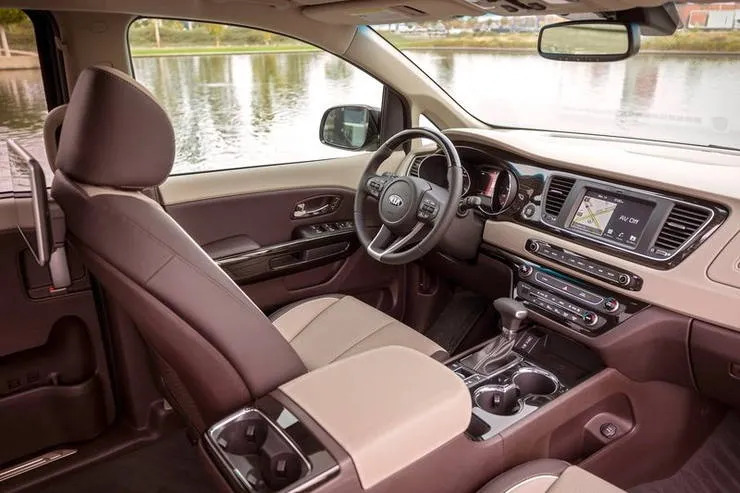 Being longer and wider than the Toyota Innova Crysta, the Kia Carnival has oodles of space on offer. The sliding doors add further practicality and convenience during ingress in egress, though they play down a bit in terms of looks. Mind you, the Innova is one of the most comfortable and spacious vehicle in its price bracket so you can have an idea of the total space on offer in the Carnival. The legroom, shoulder room, head room are the plus points of the Carnival, giving it an edge over the Innova. Third row is also very spacious and can easily accommodate two full size adults. The Indian spec Kia Carnival MPV will be powered by a R 2.2 E-VGT diesel engine that produces 199 Bhp of power at 3,800 rpm along with 441 Nm of torque at 1,750-2,750 rpm. The engine will come mated to an 8-speed automatic transmission that will send power to the front wheels. The Innova Crysta, on the other hand, comes with three engine options. There is 2.4-litre and 2.8-litre diesel engines and a 2.7-litre petrol engine too. However, all the engines have lower power output than Kia’s 2.2 litre diesel engine. Talking performance won’t be higher than Innova’s because of the Carnival’s larger size and greater weight. Talking of pricing, the Kia Carnival will have a starting price that will be much higher than the Toyota Innova Crysta. Going by speculations, the MPV will start at around Rs. 20-22 lakhs. This is because of the fact that it will not be made in India. It will come in via the CKD route which attract a higher tax. However, if Kia manages to deliver a comfortable, spacious, feature rich MPV with decent fuel economy, it could be a definite hit here.